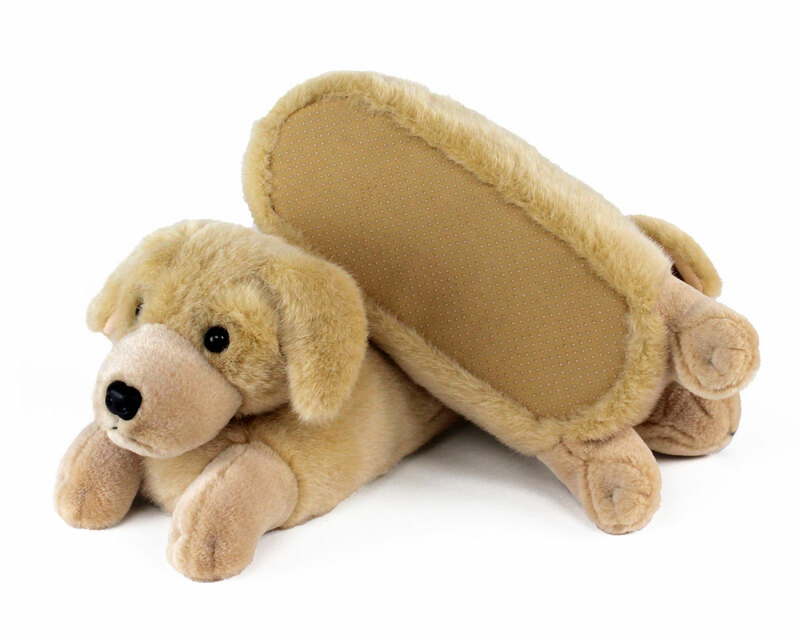 These slippers capture the sweet and friendly nature of the Yellow Lab. 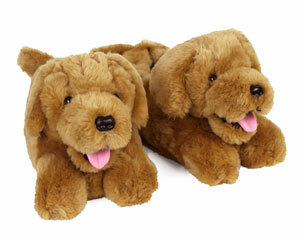 The slippers are made with soft plush, a cushioned foam footbed and non-slip grips on the soles. 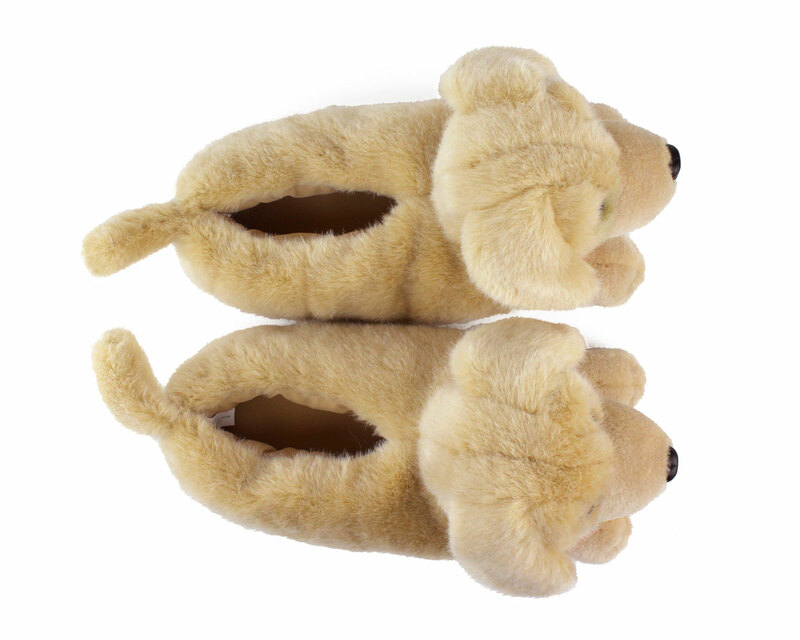 Warm golden fur, adorable paws and floppy ears complete the look. 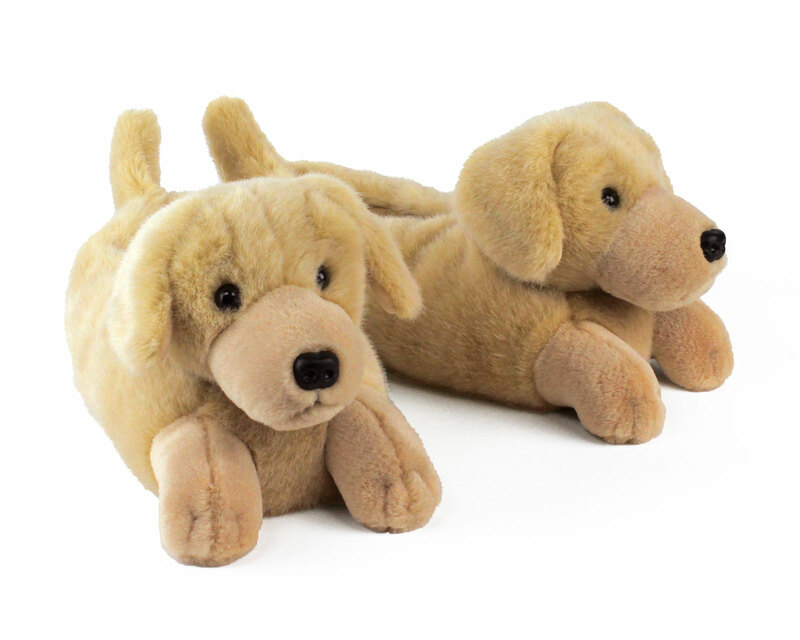 If you love Yellow Labs, you’ll love our Yellow Lab Slippers! 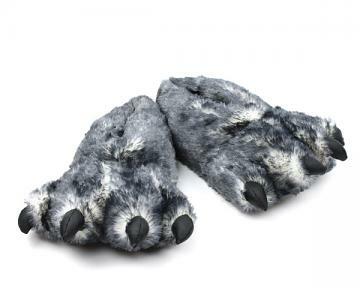 The Lab Slippers are the cutest ever, their fluffiness took my breath. Advantages: Fluffy, comfy, perfect shape. Disadvantages: Too heavy head part, one size does not fit all! The 49 year old man liked them so much we are ordering him another pair! It was a daughter's gift to her father. 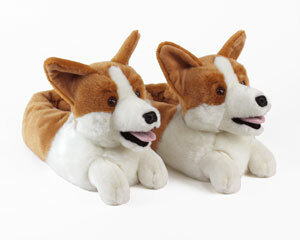 Slippers are adorable—I hope they fit the recipient!!! This is a Christmas gift for my wife.... They look good and well made. 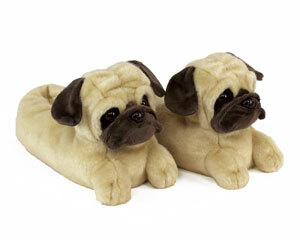 The slippers were /are perfect for a person who owns and loves Lab’s! 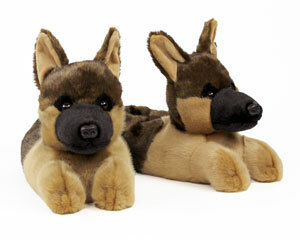 The color is great, the fit is good and the little heads on the front of the slippers are just beyond terrific! 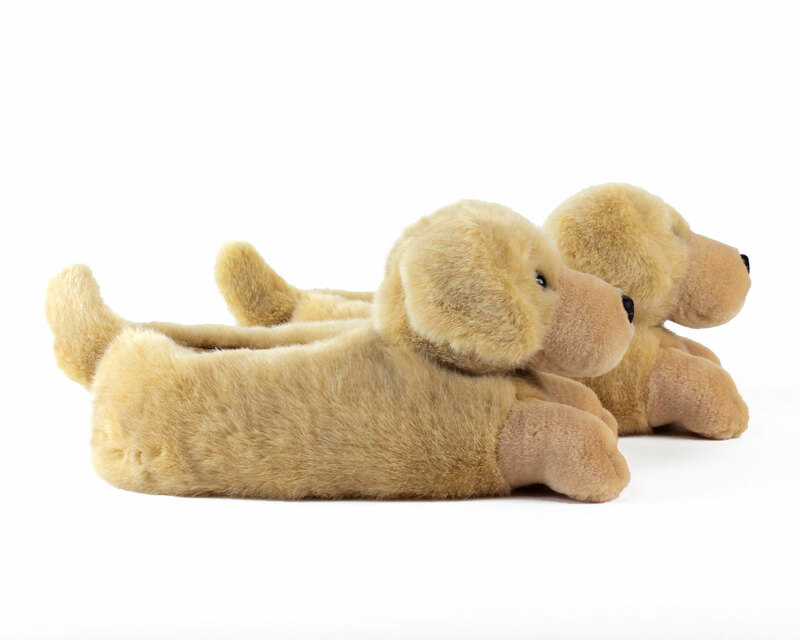 I bought them for a young lady who owns and adores two Lab Retrievers and I have no doubt they will be her best ever Christmas gift. I am very much looking forward to her opening her package and finding the slippers inside on Christmas morning. Thank you for a perfect gift and a really neat product.